This isn't your typical backyard relaxation spot. 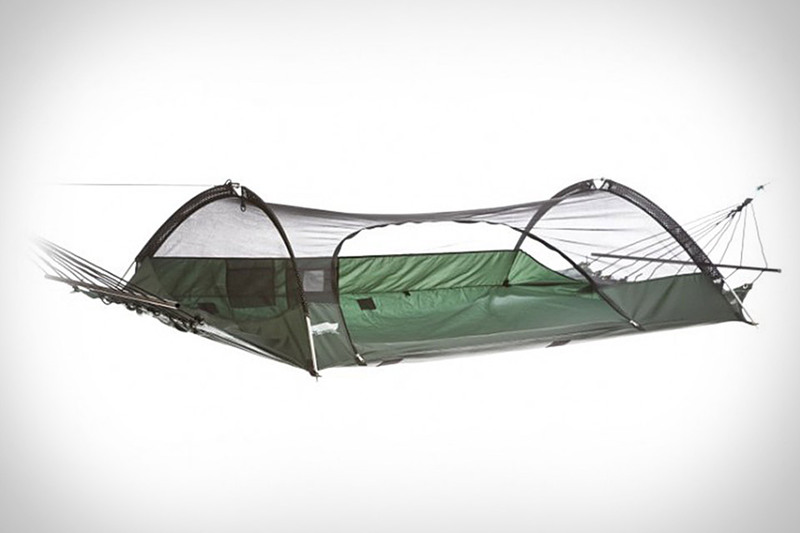 The Blue Ridge Camping Hammock ($140) is instead made for use in rough terrain, with a nylon pack cloth bed, nylon rope, aluminum alloy poles, and no-see-um netting. It's also ready for bad weather, thanks to a nylon rain tarp and two interior pockets to keep your stuff dry, and it weighs just 4.25 pounds, so you won't need to stop for the night quite as early.